B0unc3 - Excessive use of Grav. Lines! I made a Gravity Line based level called B0unc3! It's my first level, but I actually am looking for harsh criticism! I'm not entirely sure if it's hard or not, but I'm sure you'll die a few times! I need CC, so I can refine it and add better areas! A few tiling screw ups! Less "hold left/right for 2 seconds with spikes everywhere without dying" areas in areas where they shouldn't. Re: B0unc3 - Excessive use of Grav. Lines! Cool! I'll check this out later today, looking forward to it! I was able to get the blue crewmate from going into the exit of the challenge leading to him. Made things pretty easy (and made the talk script come after the rescue). 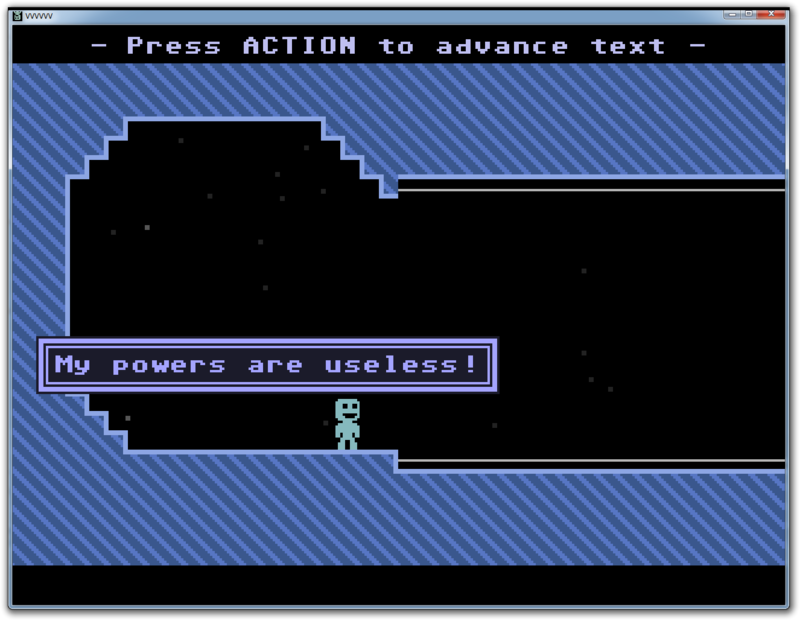 Pretty good, some bugs, but generally good for newer VVVVVV players! Oooh, nice catch! I wasn't able to get in that way after trying for 5 minutes, but I'll try to find a way to make a better exit. In the next update I'm going to try to do that, fix some tile issues, and maybe add a crewmate or two. ran into some (quite a few) tile-mismatch glitches on the room borders, some of the script triggers could be bigger as well. Fixed some tile issues, and fixed some easy stuff. Next update I hope to add a bit more screens! Sounds fun, I'll CC in the morning, I've got to go to bed now. I like this level, especially with the scripted cutscenes! there are a few more too, other than that, good job! Thanks for all the feedback everyone! I'll have a update in ~12 hours or less to fix the above errors and add another crewmate! I enjoyed this. It wasn't very hard, which is fine with me. A few RAE's here and there; I found one that Kurosen didn't find (attached). The leetspeak room names didn't appeal to me but someone had to do it, haha. I liked your scripted cutscenes as well especially the last guy (blue one). maybe after that I'll start a new level. It's hard to think of original puzzles with gravity lines! Time to start a new level!